Unlike a traditional perm that simply curves lashes, YUMI Lashes Lash Enhancement is designed to turn the eyelashes upwards and give them length, height and volume without using lash extensions. This treatment also includes a tint to make them look bolder and more defined. 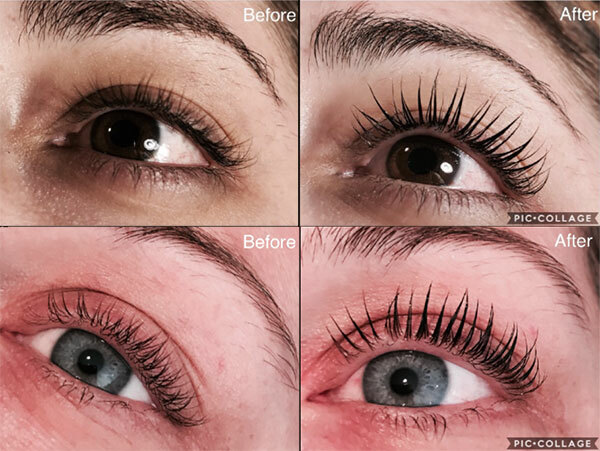 The treatment lasts around 8-12 weeks, which is the normal lifecycle of eyelashes. You should arrive with no eye makeup, and be ready to spend between an hour to an hour and 15 minutes getting the procedure done. You also can’t get your lashes wet or put on any eye makeup for 48 hours after, so it’s best to come with clean hair, so you can avoid showering for the next two days, and plan around any events where you’d want to wear eye makeup.